Some of you may have heard about the new Star Wars movie that opened last week. A week before Christmas, Lucasfilm put out a film directed by J.J. Abrams, three decades after the original film was released in 1977. 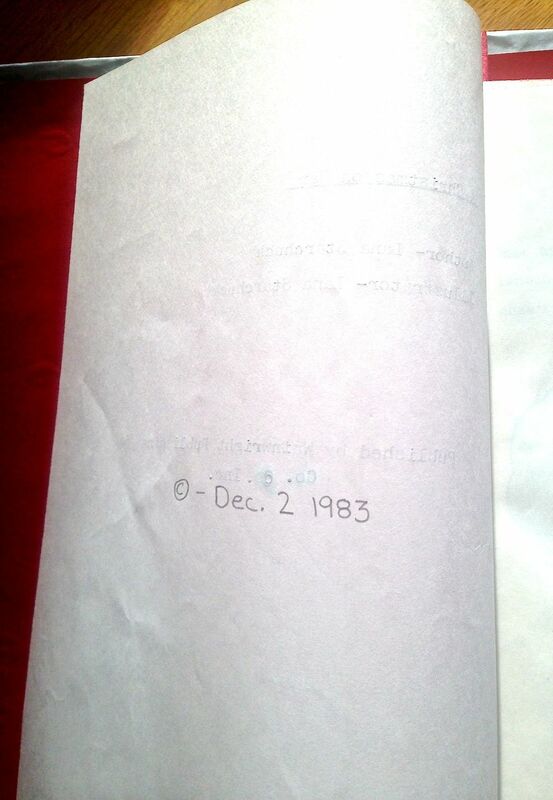 Also three decades ago, I wrote (and illustrated) a book. 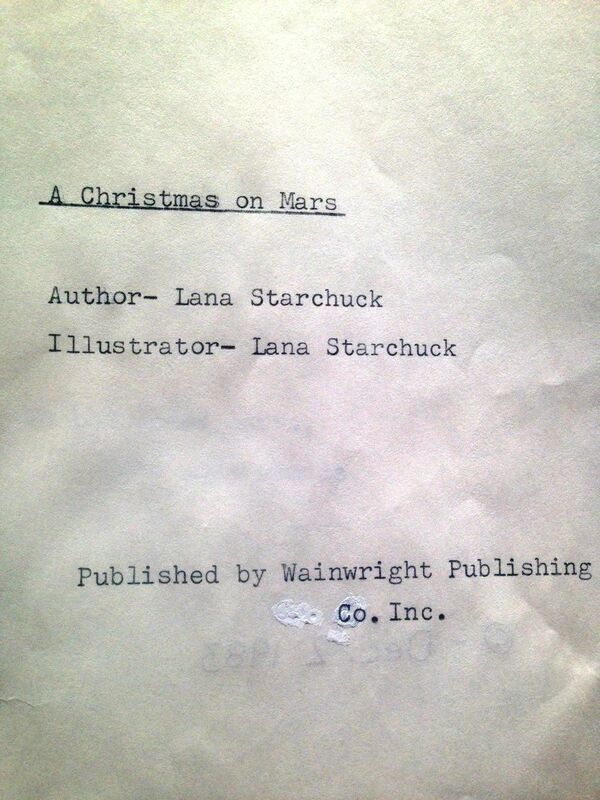 So in spirit of all things intergalactically related, the release of Star Wars: The Force Awakens inspired me to reveal my first book, A Christmas on Mars (1983, Wainwright Publishing Co. Inc.) to the world. Moving Parts wasn't my first publication. In the gallery to the right and below, you will find PART ONE of A Christmas on Mars. Coincidentally, my name used to be Lana Starchuck, as you will see in the copyright pages of the book. So, Star Wars...Starchuck. More Christmas synergy right there. Please note: The book is not a trilogy. It is one story. Nine pages long. But Star Wars is always a trilogy. So I'm spreading this story out over three days this week, and if anyone chooses to celebrate Tibb's Eve on December 23rd like I do, you can do so along side the completion of the full reveal of the book. I will also be sending a note to Dan at Grownups Read Things They Wrote As Kids, and maybe A Christmas on Mars will have a live reading someday. 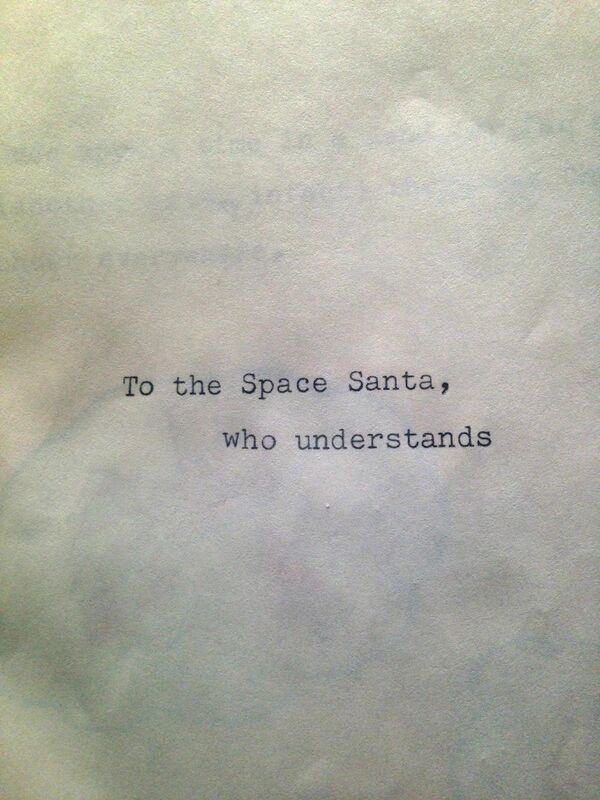 Will Jessica will get to see the Space Santa? Will there be more glitter? What does Mars have in store for Jessica? Where will she spend all her triangular shaped Mars money? Note the use of blue and gold glitter on the original cover design. The publisher may have been involved in a merger and acquisition, hence the need for Liquid Paper (Liquid Paper!) to cover up the error. Copyright date penciled in, clearly a necessary afterthought. A dedication that needs to further explanation. Star Wars influence shining though in the writing. Note the spelling of Martions, which is reflected in the overall grading of the project (which we will get to later) and again, prominent use of glitter shown spectacularly well though the lens of an iPhone5. Ah, our protagonist, a seemingly at ease Martion, albeit dealing with a bit of a Benjamin Button complex, unbeknownst to her, obviously. Ho ho ho, but what's this? Even though Jessica has all kinds of Mars monetary wealth, she's crying. Distraught. So...money can't buy happiness, then?